Welcome to the action puzzle simulation that takes you on a rapid transit romp through the epic subway systems of New York, London, Paris, Moscow and Seoul. It's a worldwide wreck of snarled subways, mangled metros and lost passengers. It's up to you to make sure that all the passengers return to their proper destinations! 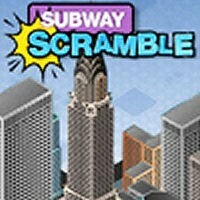 multiple train cars, overlapping railway lines and a wide array of color-coded destinations make Subway Scramble a unique and mesmerizing challenge. query: INSERT INTO accesslog (title, path, url, hostname, uid, timestamp) values('Subway Scramble', 'node/749', '', '3.80.224.52', 0, 1556142526) in /home/surelion/public_html/drupal-4.6/includes/database.mysql.inc on line 66.